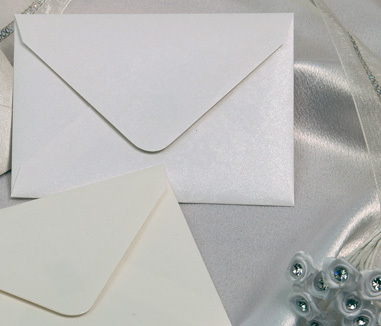 We provide a wide range of luxury and fancy wedding invitation envelopes to make your wedding invites stand out and leave an impression for your big day. 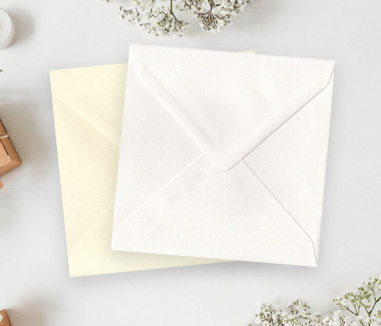 We can print all of your guests names and addresses onto a range of luxury wedding envelopes to save you time in a calligraphy of your choice! 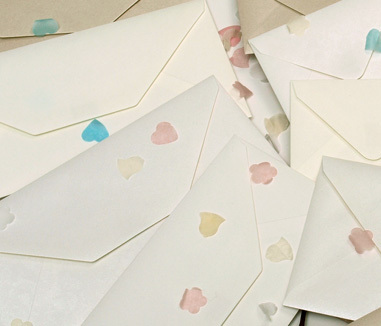 Simply send us your names and addresses in a file and tell us what font you would like to use. 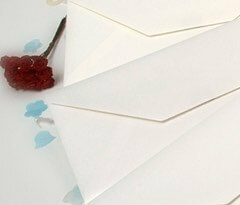 We can also add a logo or image to the envelope to add that extra personalisation. 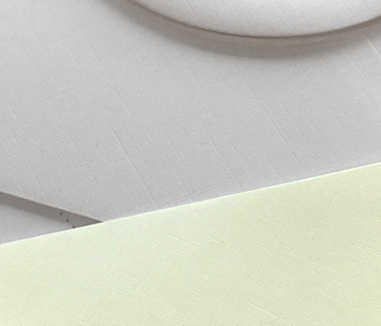 All of our wedding envelopes are produced using either recycled pulp from post-consumer wastepaper, or pulp from well managed and sustainable forest sources, recognised by the worlds leading forestry certification bodies. For every tree logged, between 3-4 are replanted. 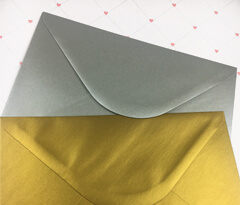 Wedding Envelopes is a web based e-commerce company, we are market leader in the supply of wedding envelopes, paper and card, Save the Dates, RSVP, place cards, wedding envelope seals, invitation envelopes and more for the bride and grooms very special day. 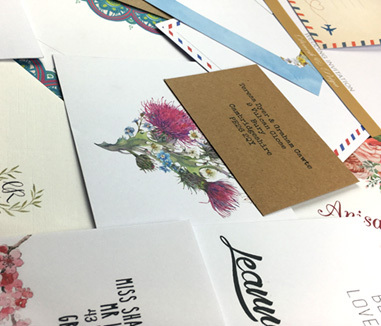 We stock an extensive range of colours, sizes, finishes and textures at our Sheffield warehouse and can personalise your envelopes for your special day by printing your own unique design or choosing from our selection of printed wedding envelopes. 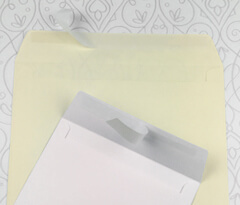 Our easy to use web site and online ordering system makes Wedding Envelopes the only place for the happy couple wishing to make their own personal wedding stationery. 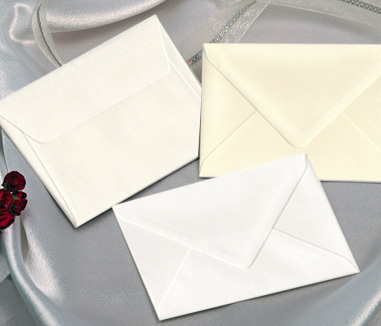 Stock envelopes, paper and card can be dispatched quickly and efficiently direct to our customers. 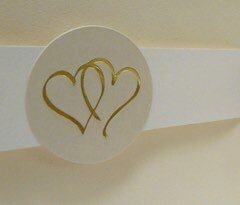 Our customer are important to us, we have a reputation for quality products at the very best prices.